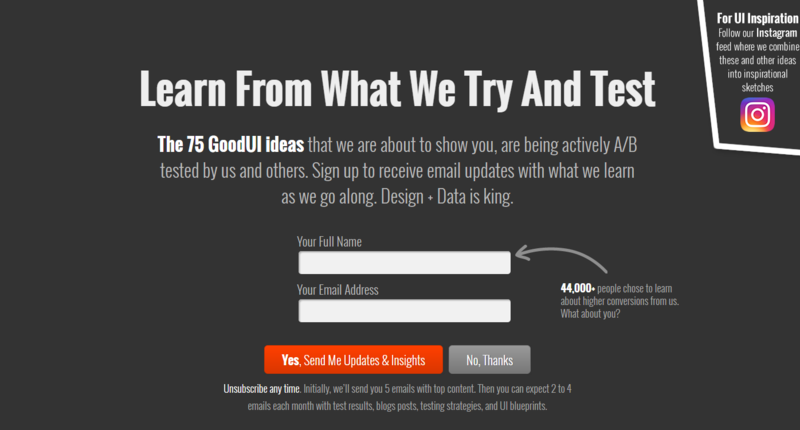 Here are the best 12 design tools & websites for UI/UX designers. The continuous improvement of design tools, have a positive impact on usability and user experience, that provides great convenience for designers, as well as the users. Therefore often a good web designer will try to be updated with frontier, and master the latest tools. Hundreds of design blogs and websites update design articles, share design skills, and recommend new tools today on the internet. That is the important source of information for designers. 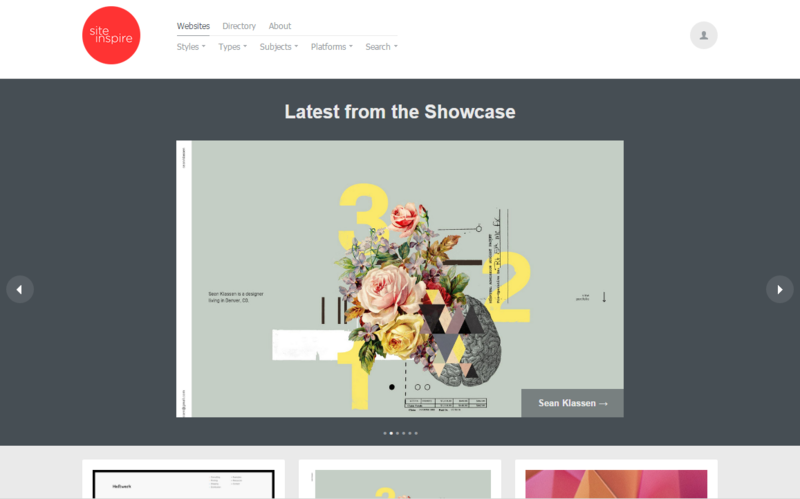 Now, let’s look have a look at what’s new about the design tools and websites. Are you sure you have settled all the problems? When you prepare to hand over the project to your clients? 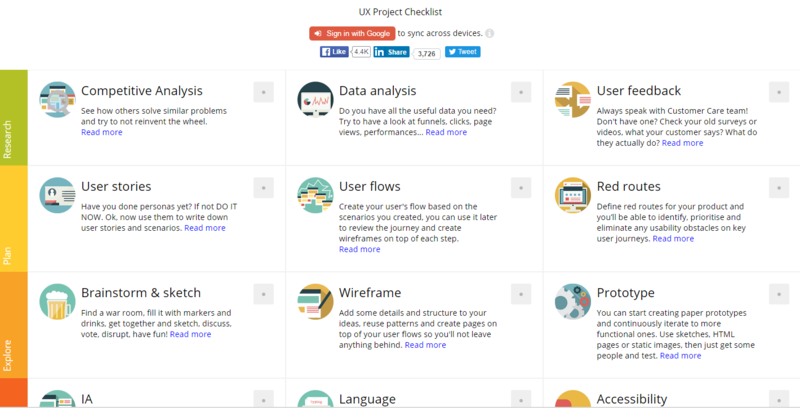 UX Checklist is a professional checklist for user experience, you can follow it to review the stage of your project, whether you have already finished all the woks or not. 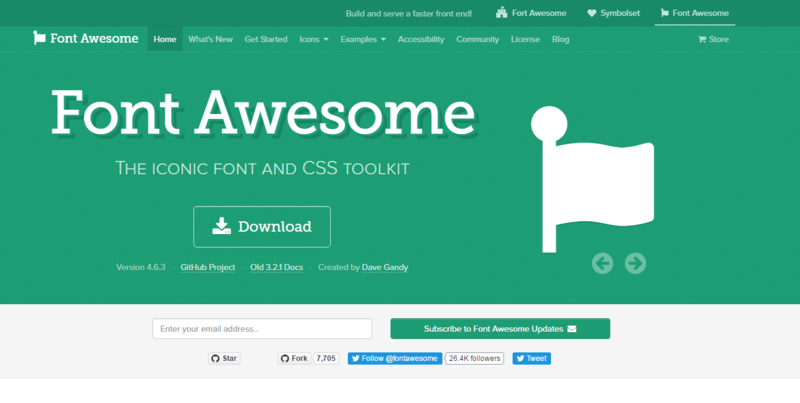 Font Awesome gives you scalable vector icons that can instantly be customized — size, color, drop shadow, and anything that can be done with the power of CSS. Mockplus is a design tool brand covers rapid prototyping, team collaboration & design handoff. As a rapid prototyping tool, Mockplus aims to provide simple & easy wireframing/prototyping method for designers around the world. The simple interaction between designer and the design tool by dragging-and-dropping makes the process faster without deep learning. 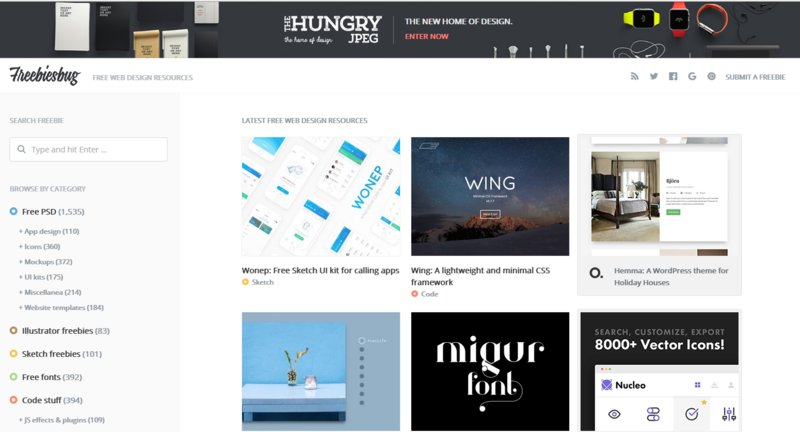 As a design handoff tool, Mockplus iDoc connects designers and developers by multiple plugins which provide designers and developers the best convenience for collaboration. It goes far beyond design and workflow—which allows designers to create a masterpiece. 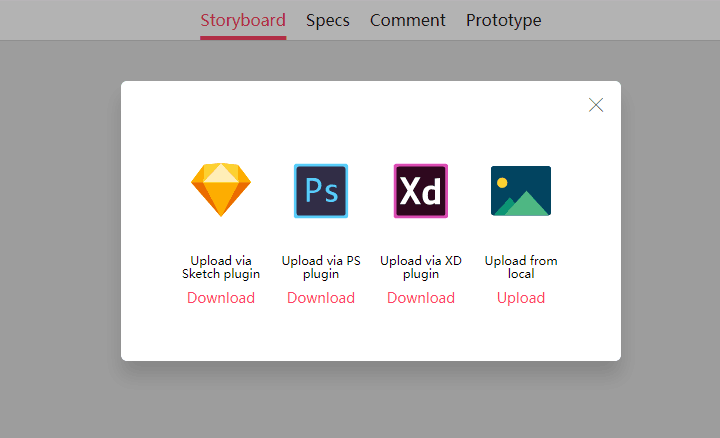 It allows you to upload your wireframes and visual designs from Photoshop, Adobe XD, and Sketch, and add them to your project folder in iDoc to generate accurate specs, assets, code snippets automatically. Perfect Icons is an easy tool to create resolution independent social icons. Abundant useful resources about web design collected on Freebiesbug, including various kinds of resources about template, UI, and plug-in. 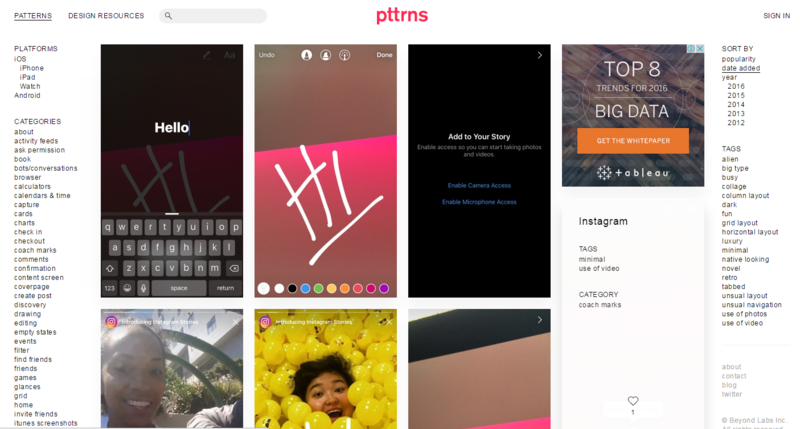 Mobile design patterns and UI resources like UIKit and UI elements are available on Pttrns for designers. 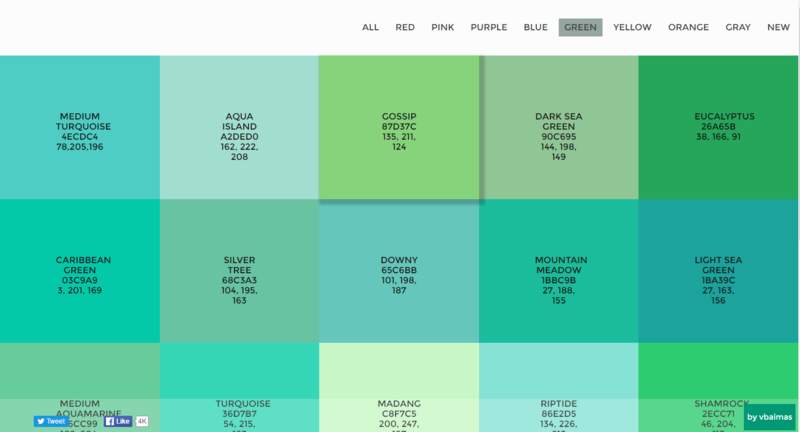 Flat UI Color Picker is a great choice on color scheme, if you want to create a preeminent flat style interface design. Lack of inspiration? Don’t know how to use websites? Site Inspire can be a good assistant for you to restore this problem. It can also filter materials flexibly for you, according to different category, platform, and style. What kind of design can be called as good UI? On GoodUI, you can find a large number of skills and guidance. 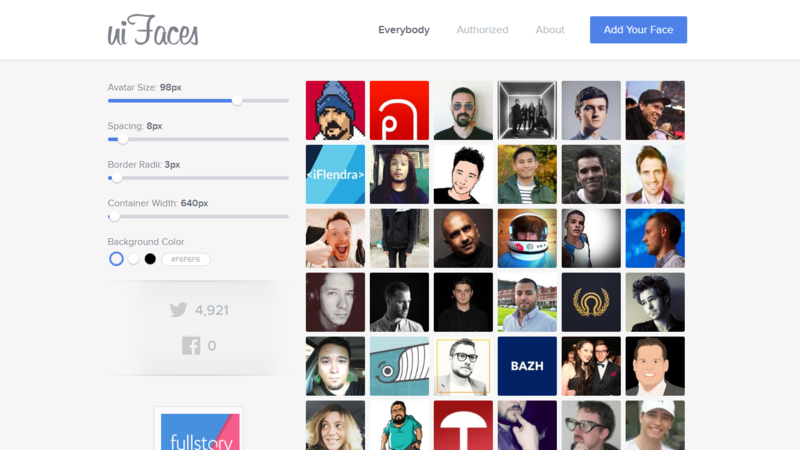 UI faces is a website to find sample avatars for UI mockups. It’s very good to use on visual design. 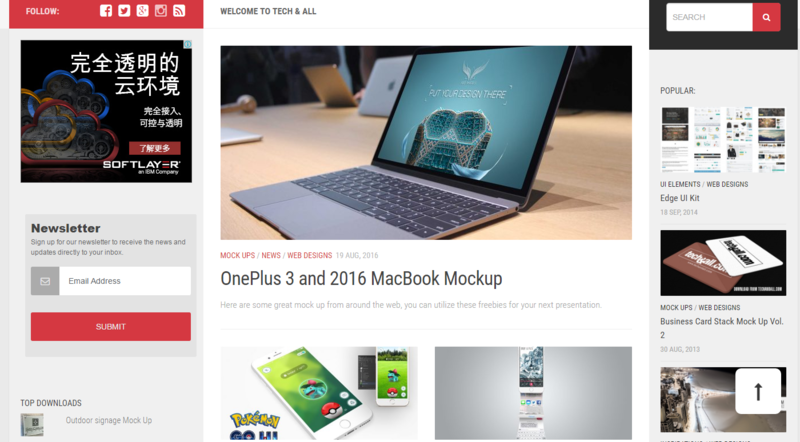 Tech&All is a fully-equipped website for web design resources, such as materials about code, template, visual design, UIKits, UI elements, and navigation design are all included. 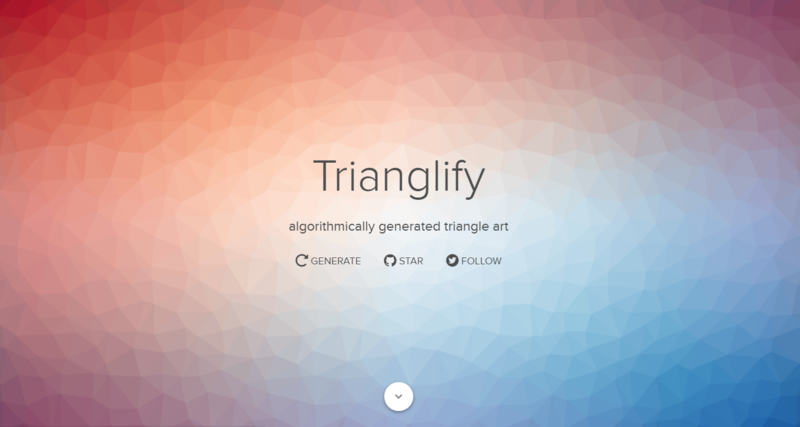 Get your favourite choice among the 12 design tools & websites to create your masterpiece! Hope you can find it all useful!